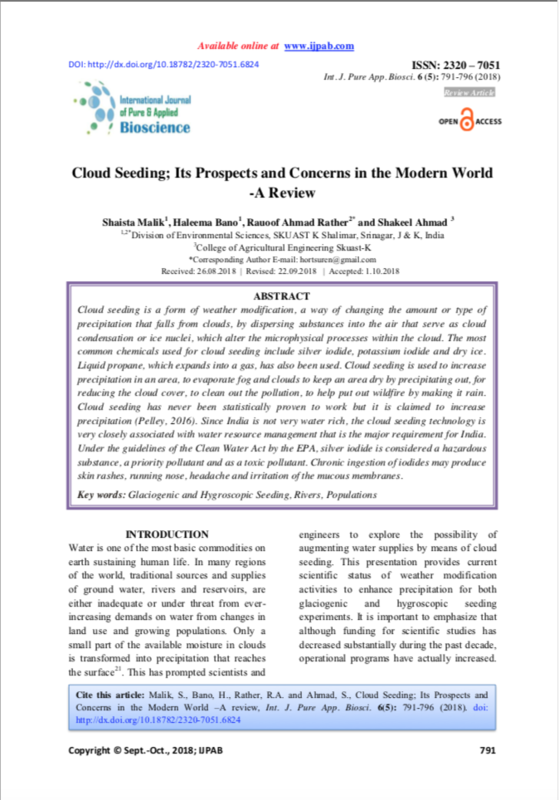 Cloud seeding has never been statistically proven to work but it is claimed to increase precipitation (Pelley, 2016). The most common chemicals used for cloud seeding include silver iodide, potassium iodide and dry ice. Silver iodide may form explosive compounds with sodium, potassium, acetylene, ammonia, and hydrogen peroxide.